Fear and confusion about the impact of work on public benefits is epidemic. People with disabilities all across the country are choosing not to work or are limiting the amount they work because of misinformation. It is critical that professionals in disability services learn the truth; special work rules do exist that allow people to maintain access to health insurance and critical benefits while also financially getting ahead from work. This course will empower you with information about how this is possible for people receiving Social Security Title II disability benefits. 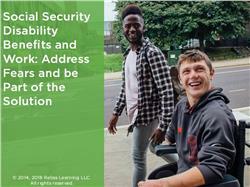 During this course, you will learn the basic eligibility criteria for Title II disability benefits, the work rules that support working for these beneficiaries, and five key steps you can take to help eradicate this barrier to work. To help process this important information, during this course you’ll have the opportunity to practice using this information in story problems and matching games. This course is written for direct support professionals and front line staff who support people with disabilities. Dispel the four most common Title II disability benefit myths. Identify when a work incentive may apply to a persons situation. 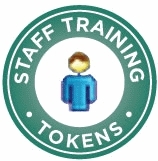 Support people with disabilities in reporting earnings and work incentives. For over 20 years, Molly Sullivan has been assisting people with disabilities financially plan around public benefits and working. She has provided this service directly to people with disabilities, as well as managed benefit planning programs. Additionally, Molly has provided training and technical assistance in this area through several national projects, including the SSA funded National Training Center, the Department of Labor Office of Disability Employment Policy (ODEP) national self-employment demonstration project START-UP-USA, and the Centers for Medicare and Medicaid Services (CMS) funded Medicaid Infrastructure Grant (MIG). She has also supported numerous non-profit and government agencies across the country, through various local or state-level initiatives, to build their capacity in supporting people with disabilities to financially plan for economic advancement. Disclosure: Molly Sullivan has declared that no conflict of interest, Relevant Financial Relationship or Relevant Non-Financial Relationship exists. The target audience for this course is: Direct Support Professionals; in the following settings: Intellectual Developmental Disabilities.